The Marine Accident Investigation Branch has carried out a detailed probe into the grounding of the "Clonlee" on the river Tyne on Mar 16, 2011. An electrical fault caused her power to fail causing it to run aground. The ship was later able to free herself and continued the journey into the Port of Tyne. The 68-page report found that the most likely cause of the breakdown was electrical power failure in the confined waters of the harbour entrance. A number of human and machinery failures led to the vessel running aground. The two-man bridge team was ‘under-resourced’, and the vessel’s master was ‘cognitively overloaded and lost his situational awareness’, the report concludes. Significantly, the ship’s critical systems had not been operated, tested and maintained in accordance with the manufacturer’s instructions. And although the ship’s engineers were very experienced and held the required certificates of competency, they ‘demonstrated a limited knowledge of the ship’s electrical power supply, distribution and control systems. They were unable to recover the ship’s main power in a timely and controlled manner. 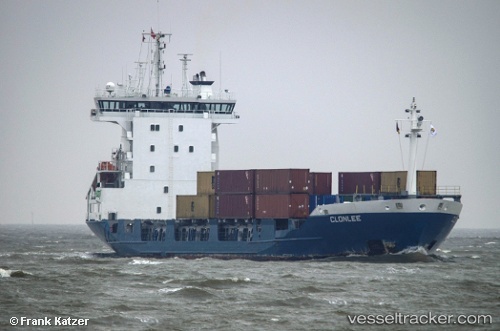 The ship’s machinery had not been prepared for manoeuvring and deck crew were not standing by prior to entering the harbour.” Recommendations have been made to "Clonlee"’s owners, North Atlantic Shipping Limited, aimed at ‘addressing the atmosphere of complacency’ on its vessels. The company has been told to carry out a review of onboard training and take action to improve its crews’ emergency response procedures, and to ensure that all vessels are provided with manufacturer’s instruction manuals for all critical equipment and systems on board. Meanwhile, the Port of Tyne has changed its passage plan for vessels entering the harbour and issued a marine memo clarifying safety requirements. The report says: “The Port of Tyne has amended its port passage plan to include its seaward approaches, and has taken action to make amendments to its port users and ensure its Vessel Traffic Services operators closely monitor, and where necessary challenge, the intentions of vessels approaching the port in future.” The Port of Tyne has considered the observations made in the MAIB report and as a result have made some amendments to our Safety Management System.